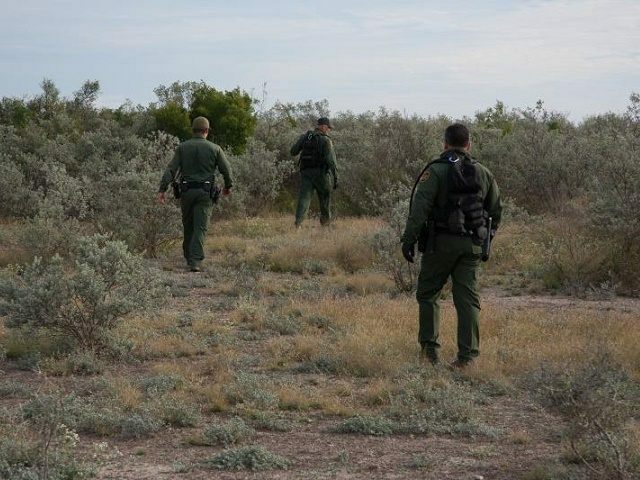 U.S. Border Patrol agents arrested an illegal alien who was previously convicted of murder and deported from the U.S. Three Mexican fugitives were also arrested crossing into Texas to avoid prosecution in that country. Border Patrol agents assigned to the Eagle Pass South Station arrested Efrain Sandoval-Perez, 45, on Saturday when he attempted to illegally re-enter the country near Eagle Pass, Texas. The agents processed the suspect to the Eagle Pass South Station where he was processed. A records check by agents revealed that Sandoval-Perez had previously been convicted of murder in a Dallas, Texas, court. He was convicted of murder in 1995 and sentenced to 20 years in prison. The government subsequently deported the man from the United States in 2012. Because the criminal illegal alien was captured attempting to re-enter the U.S. after being deported, he is being charged under 8 USC § 1326, re-entry after deportation, a statement obtained by Breitbart Texas from U.S. Customs and Border Protection revealed. His previous order of removal will be reinstated, the statement said. In a separate incident unrelated to the Sandoval-Perez incident, agents assigned to the Del Rio Station captured three Mexican nationals attempting to enter the U.S. illegally. The three men were later determined to be wanted by Mexican authorities. Mexican police are searching for these men in connection with a murder allegedly committed on Friday in Ciudad Acuña, Mexico. It is expected that Border Patrol agents will complete the processing of these three individuals from Mexico and then turn them over to Mexican authorities. Border Patrol officials did not provide the names of the suspects or information about the murder they are linked to. However, Breitbart Texas’ Ildefonso Ortiz learned that Mexican radio station Rancherita Del Aire reported that the men are likely linked to the murder of 32-year-old Perla Rodriguez. According to the Mexican radio station, Rodriguez was murdered over the weekend when her house was set on fire. The case is being investigated as a homicide by Coahuila authorities who have also recovered the vehicle that was allegedly used by the murder suspects and left behind not far from the murder scene. The suspects were captured as part of the Joint Task Force-West South Texas Corridor.,The task force leverages federal, state and local resources to combat transnational criminal organizations.